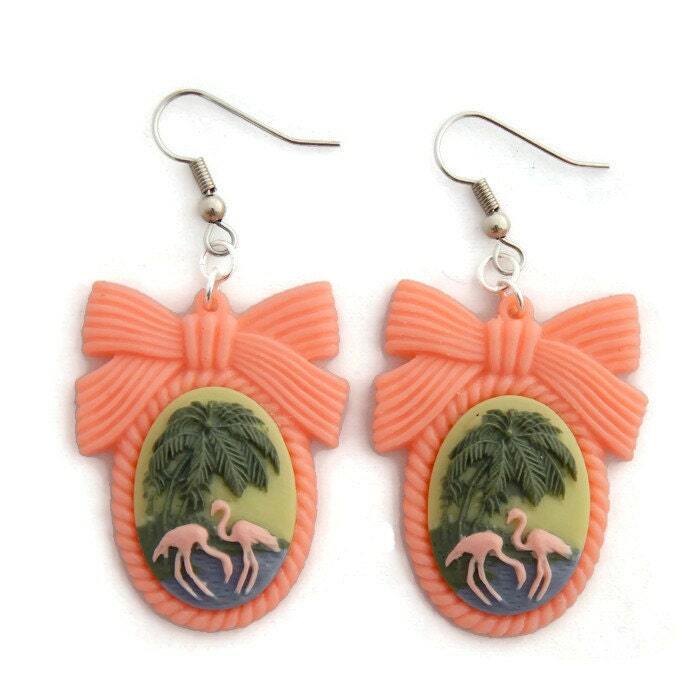 A modern take on vintage cameos these earrings are large but lightweight. 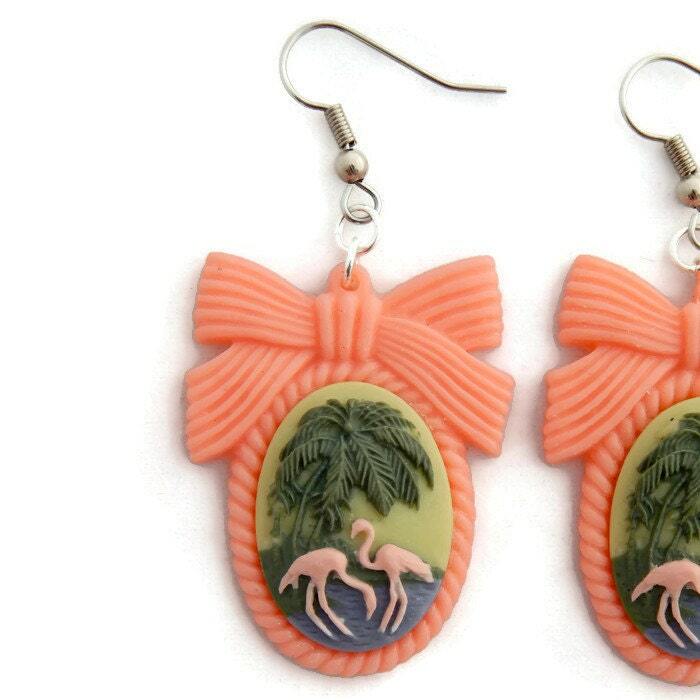 Centered inside a pink oval frame is a retro flamingo scene cameo. Topping the resin frame is a large bow. The earrings measure 1 1/2" long from top of charm to bottom and 1 1/4" wide at bow. These earrings are hung by nickel free earring wires. Handmade in the USA.